A key trick in any beauty regime is making sure you lavish enough care and attention to your eyebrows and so it’s great to see one of our favourite brow styling brands, Beauty Edit Mayfair, getting the recognition and accolades they deserve. It’s been an exciting time for Beauty Edit Mayfair, in the last few months, they have won the Editor’s Choice Award for their Brow Highlighters and Brow Pencils range in the Beauty Shortlist Awards 2018. They followed this with another win, for their brow filler, in the Attracta Beauty Awards 2018, in the Best Eyebrow Pencil for Groomed Eyebrows category. Rounding off an extremely successful year, the whole product range is now available in leading beauty store Space NK Apothecary, London. 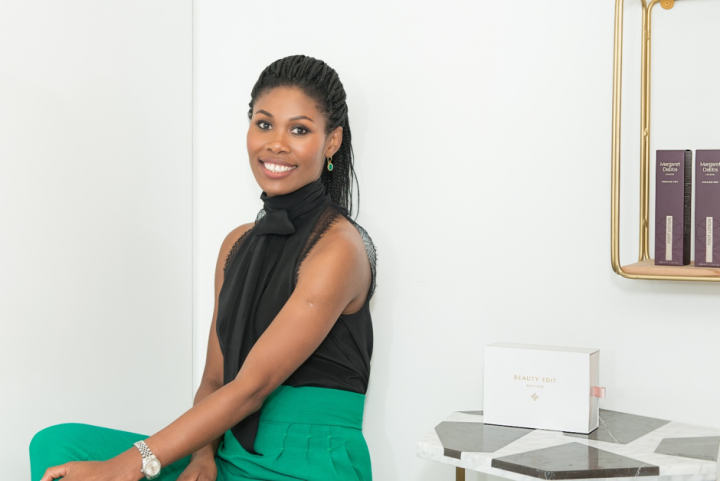 Speaking at a recent Trailblazers in the Beauty and Wellbeing event organised by the British Library, Founder of Nails & Brows, Mayfair and Beauty Edit, Mayfair, Sherille Riley, shared the circumstances that led to her going into the beauty industry. We wonder what today’s Sherille would tell her 13-year-old self as she freaked out over her eyebrow ‘mistake’! Congratulations on your awards.